There's a reason why this lucrative travel rewards credit card is so popular. Chase Sapphire Preferred® has a legion of travel fans for a reason. Everyday cardholders can expect a large new sign-up bonus, premium rewards for travel and dining, and perhaps most importantly, one of the most versatile travel rewards program we’ve come across. These are all reasons why I applied, but let’s dive in and see if it is a fit for you. Points flexibility is essential in a travel credit card and Chase Sapphire Preferred® offers one of the most robust travel rewards programs I’ve come across. Cardholders who know how to stretch the value of points can increase the value by up to 4x, making the 60,000 points sign-up bonus one of the most lucrative around. I’m a long-time “transactor,” someone who uses credit cards to earn rewards and avoid interest charges by paying off balances each month. I’ve earned thousands of dollars in rewards value over the past decade while still maintaining a credit score of over 800. I also contribute to The Ascent’s credit card ratings philosophy by poring over the offer details and fine print for hundreds of card offers spanning categories such as travel, hotel, airline, cash back, balance transfer, and student credit cards. 60,000 points sign-up bonus -- Cardholders earn 60,000 bonus points after spending $4,000 on purchases in the first three months. That's worth $750 for travel redeemed through Chase’s travel portal. Unlimited 2x points for travel and dining -- Not only do travel and dining earn at 2 points per $1 but also rewards earning potential is unlimited. Many credit cards throttle down the rewards after hitting quarterly spending caps. No foreign transaction fee -- Foreign transaction fees can quickly add up when whipping out credit cards for purchases abroad. Chase Sapphire Preferred® has nixed the typical 3% foreign transaction fee, a savings of $60 on $2,000 worth of international spending. Airline partners -- Aer Lingus AerClub, British Airways Executive Club, Flying Blue AIR FRANCE KLM, Singapore Airlines KrisFlyer, Southwest Airlines Rapid Rewards, United MileagePlus, Virgin Atlantic Flying Club. Hotel partners -- IHG Rewards Club, Marriott Rewards, The Ritz-Carlton Rewards, World of Hyatt. Primary car rental insurance -- Primary car rental insurance ups the ante to cover damage or theft without you having to file a claim with your existing insurance. Cards not including primary insurance require you to file a claim first with your insurance. Just decline the car rental company’s collision damage waiver to qualify. Trip cancellation insurance -- $10,000 worth of coverage in the case where a trip is cancelled due to a covered reason, including sickness and weather. Baggage delay insurance -- If your baggage is delayed over six hours, you are covered for $100 for up to five days for essentials like clothes and toiletries. Trip delay reimbursement -- A 12-hour delay or instance that requires an overnight stay can be reimbursed up to $500 for meals and lodging. Lost luggage insurance -- Damaged and lost baggage is covered up to $3,000 per passenger. High cash-back conversion rate -- Some travel cards penalize cash-back redemptions with a rock-bottom conversion, but Chase Sapphire Preferred® cash redemptions are worth $0.01 per point, equating to 2% cash back on restaurants and travel, and 1% on all other purchases. Note, we’d suggest applying for a cash-back credit card if cash rewards are preferred since the earning potential is higher than with a travel credit card. Annual fee -- Chase Sapphire Preferred® carries a $95 annual fee. While the fee is modest, and waived for the first year, it’s a fee nonetheless. Is Chase Sapphire Preferred® worth the $95 annual fee? The $95 annual fee is justified for many travelers, given some competing cards charge a similar fee but don’t offer as lucrative a sign-up bonus, among a long list of other perks that Chase Sapphire Preferred® includes. The sign-up bonus alone (worth at least $750 for travel) is enough to cover the annual fee for more than seven years. A travel credit card with no annual fee may make more sense for those who don’t spend enough on credit to justify the out-of-pocket cost. Assuming travel rewards are earned at a 2% rate, you’d need to spend $4,750 each year for the travel rewards value to offset the $95 annual fee. Cardholders spending less than this amount may want to consider other credit cards, at least from the perspective of carrying a credit card past the first year when the sign-up bonus is earned. Applicants with good and excellent credit (670 FICO® Score and higher) have a high likelihood of securing approval. Other factors are considered in the approval process, including income and current debt, so there are other important elements. In fact, cardholders with FICO scores in the mid-600s and higher commonly report approval. Chase’s 5/24 rule is meant to dissuade “churners” from using a credit card just for the sign-up bonus and then ditching the card shortly thereafter. If you’ve opened more than five credit cards in the past 24 months, you won’t be approved for a Chase consumer credit card. Ultimate Rewards® are the points currency earned and their redemption value not only varies by redemption option but also by card. Ultimate Rewards® earned on Chase Sapphire Preferred® are worth $0.0125 apiece redeemed for travel through Chase’s portal, $0.01 apiece for cash back, and as high as $0.04 apiece for certain points transfer strategies. While the cash back yield is high compared to the competition, redeeming points for cash back wipes out a ton of value, and highlights why picking the right card for your needs can make your money work harder for you. For the right type of traveler, Chase Sapphire Reserve® may bring more value. 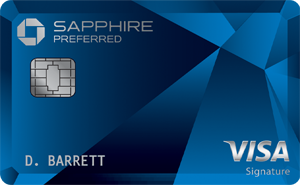 The Sapphire Preferred offers a 60,000 sign up bonus while the Reserve offers a 50,000 sign up bonus. The spending requirement is the same for both, but Ultimate Rewards® points earned on Chase Sapphire Reserve® are worth 50% more (up to $0.015 apiece) redeemed through Chase’s travel portal. What’s more, Chase Sapphire Reserve® earns 3 points per $1 for travel and dining and includes $300 in annual travel statement credits, plus a $100 statement credit for TSA Pre Check or Global Entry application. 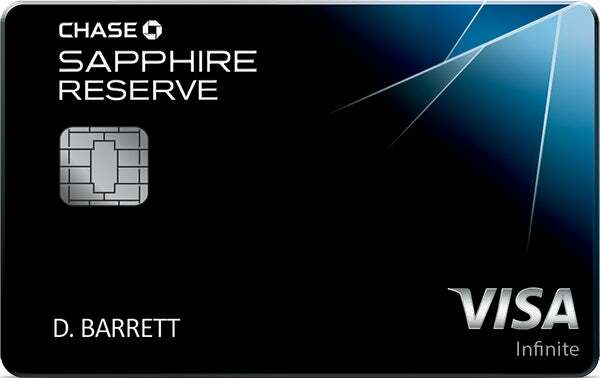 The $450 annual fee, while steep, is warranted for Chase Sapphire Reserve® travelers who can make the most of the sign-up bonus (valued at upwards of $750) and $400 in statement credits that reduce the out-of-pocket costs of carrying this card in your wallet. The annual fee may be best viewed as prepaid travel expenses, and the other premium perks (for example, airport lounge access) just sweeten the deal. Ultimate Rewards® points can not only be transferred easily to airline and hotel loyalty programs, but also among other Chase credit cards. The benefits of carrying two Chase-branded credit cards has been covered extensively online (for good reason) and we’ll briefly discuss one common strategy. Chase Freedom® and Chase Sapphire Preferred® -- Chase Freedom® earns up to 5% back (capped at $1,500 of spending each quarter) in rotating quarterly categories you activate. The essentials are typically covered in Chase’s cash back calendar, such as groceries, gas, restaurants, and online shopping. Many cardholders carry both cards to earn premium rewards in the associated category with the highest payout. Points can then be transferred instantaneously to a Chase Sapphire Preferred® card to stretch the value even further for travel. Let’s run through an example. You could earn 5% back on groceries in a certain quarter and then transfer those points to a Chase Sapphire Preferred® card. Booking travel through Chase gets you the 25% bonus worth a fully-baked yield of 6.25%. This one-two punch credit card strategy is simply unmatched among competing cards. Note, a word of caution is warranted. Carrying multiple credit cards introduces complexity to your budget, which increases the possibility of racking up costly credit card debt. Simply put, there’s no sense earning rewards at low rates only to watch as higher rate interest charges balloon along with your debt balances. Personal -- Name and address. Financial -- Types of accounts you own (checking and savings), housing costs, and income details. Security -- Phone number, email address, social security number, mother’s maiden name, and date of birth. Is Chase Sapphire Preferred® right for you? No doubt Chase Sapphire Preferred® was built with travel versatility in mind, and there’s a reason why I consider it a must-have for many travelers. The big cardholder bonus and ongoing rewards rate can help add some stamps to your passport faster. Simply put, it deserves a spot as one of the best, most versatile travel cards I've come across. But cardholders without a big enough credit budget may be better off with a no-annual fee credit card instead.